Meet some of our staff here at Forever Fit. 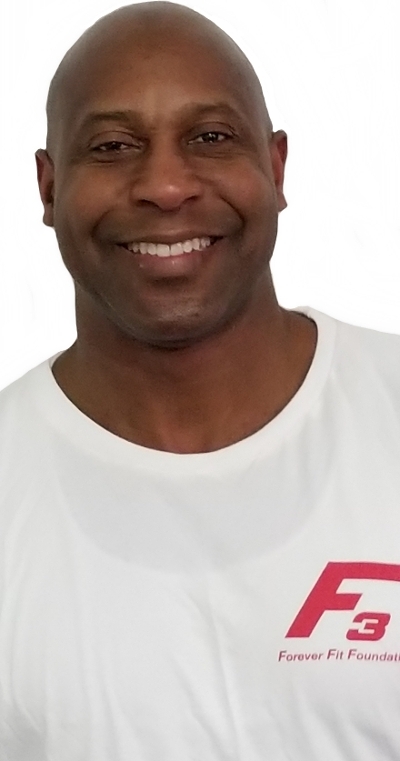 Tim is an NSCA certified personal trainer that has been with Forever Fit since 2008 and has been a personal trainer since 1995. He is a former body builder, competing in Delaware, Maryland, and Pennsylvania from 1993-2004. More recently, he enjoys power lifting and holds State and National records in the 242 lb. weight class with lifts over 700 lbs. in deadlift and over 600 lbs. in the squat competitions. Tim has a passion for cooking and has been working as a Chef or Chef Instructor for over 20 years. He is currently the Executive Chef at the Food Bank of Delaware. His philosophy about fitness is “Everyone has to start somewhere.” He knows what it is like to push your body to the limit and enjoys helping people reach their goals.